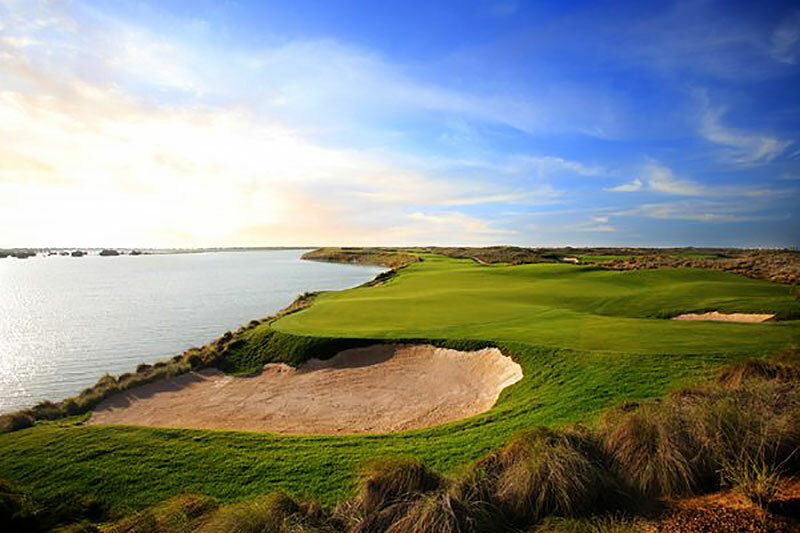 This a wonderful course which can be quite tough with the wind. The view is great and the sunset always stunning! With the different tees you can play it easier or make it harder. The rollercoaster of the theme park opposite of the range is a different view as well as the screaming people. 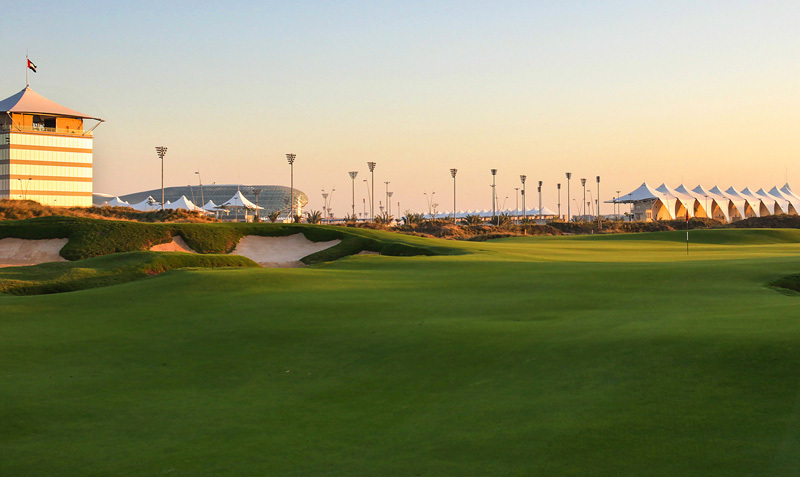 Set among rolling hills and delicate mangrove plantations, Yas Links is the Middle East's only true links course. 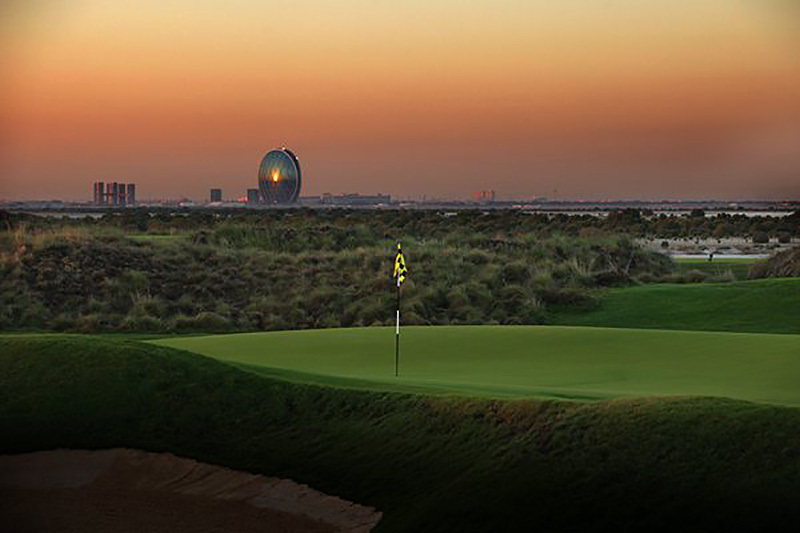 Stunning views of the Arabian Gulf. Signature par-3 17th is a beauty. Long off the backs at 7500 yards. 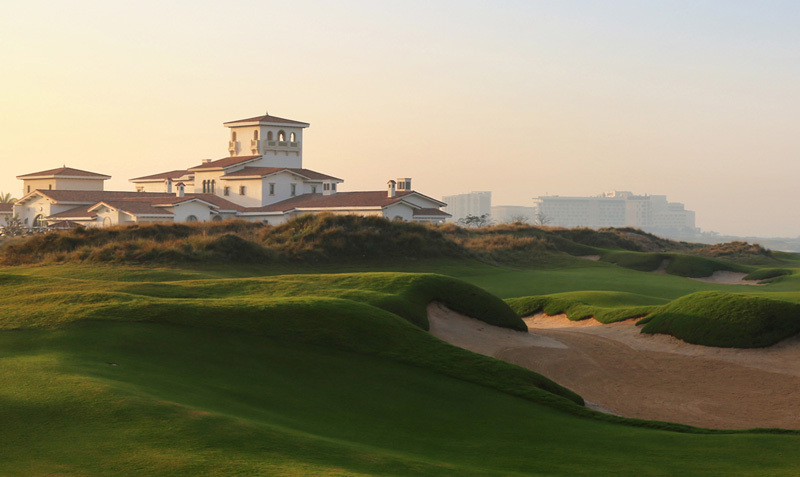 One of the very best courses in the world. Hervorragender Service, tolles Clubhaus und ein gut gepflegter Platz. Es gibt rundherum einige Baustellen wodurch der Platz bald mit Apartmenthäusern zugebaut sein wird. Teilweise Löcher mit toller Aussicht. Genialer Platz im links Design. Mit Wind sehr anspruchsvoll. Geniale Greens und tolles Trainingsgelände.